Why Attend an EdCamp? Just got back from my second EdCamp and wanted to share some thoughts about what makes an EdCamp such a great professional development opportunity. Book Club: From the Mixed-Up Files of Mrs. Basil E. Frankweiler. Every kid wants to know what happens next when you run away to the Met! If You Like Diary of a Wimpy Kid ... My students are sharing book recommendations, following the "If you like ... read this next ..." format. This quadruple review provides four different ideas of series to suggest to Wimpy Kid fans. February Kid Lit Blog Hop Stop by to check out these amazing links or leave your own kid-lit related post. Follow The Logonauts on Facebook! This week I decided to start a Facebook page for The Logonauts. Many parents and teachers are on Facebook, so it seemed like a great way to connect. Please consider "liking" to get updates via your Facebook feed, thanks! 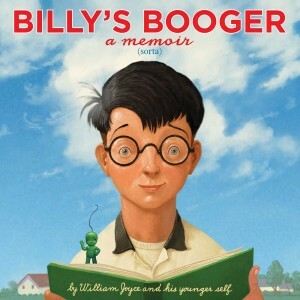 Billy's Booger: a memoir (sorta) (2015) by William Joyce and his younger self. This book-within a book is a memoir of the author writing about his own childhood dream of being an author, and he submits a fictional story about an adventurous booger (which is also included within the main book). This book has been in my classroom for a week now, and I've found that many students are immediately drawn to the title but it isn't a book I've seen them revisiting. This is one of several books I am catching up on to be prepared for the upcoming March Book Madness - who, helpfully, made the list of picture books available earlier, so I hope to have all of them in my classroom for the big launch on March 1st. 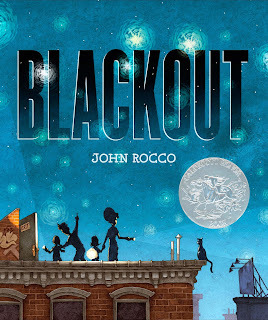 Blackout (2011) by John Rocco [a Caldecott Honor book]. Also a March Book Madness contender. This book is based around a big city blackout and the ability to see the stars. There is also a great underlying story about the role of technology in our lives and the importance of spending quality time with family. 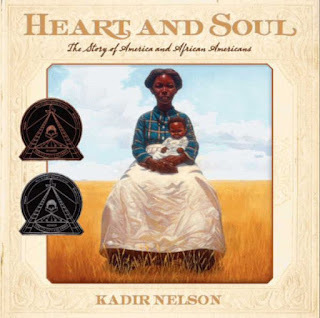 Heart and Soul: the Story of American and African Americans (2011) by Kadir Nelson [Winner of the 2012 Coretta Scott King Author Award and Honor Award for Illustration]. 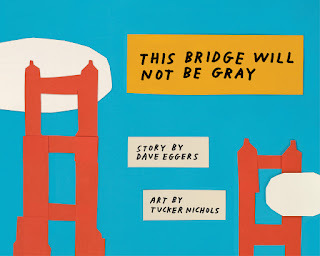 Also stretching the definition of picture book, this 108-page tome is a true work of art. Kadir Nelson shared a bit of the story behind writing this book during his author-breakfast speech at NCTE last November, and I am so glad to have finally gotten around to reading it. The family-history narrative frame helps make the book personal as well as help kids understand just how recently so many of these things happened. (Or, as comedian Louis CK once put it a few years back, "I’ve heard educated white people say, 'slavery was 400 years ago.' No, it very wasn’t. It was 140 years a ... that’s two 70-year-old ladies living and dying back to back. That’s how recently you could buy a guy.") This is why education is so important. This book deserves a spot in history classrooms. Nice assortment of books. I enjoy reading Blackout with my students. Come see what I read here. Happy reading! Blackout is one of "go to" texts - so many layers of meaning in that book. 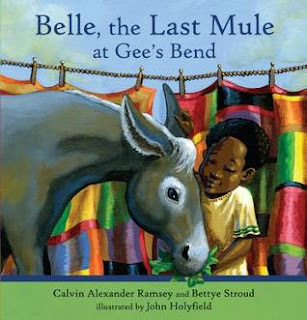 Thanks for telling us about Belle, the Last Mule and Heart and Soul - We know the authors but didn't know these titles. Thanks! Great point about Blackout. I do feel like the story has more going for it than Blizzard. I liked Billy's Booger a lot. I think as a read aloud along with discussion about the message it would be appreciated by students and offer some inspiration for fiction writing. I absolutely loved Heart and Soul. I need to read the new Dave Eggers book. It sounds fab.